Proactive and people-driven Human Resources Executive with 16+ years of experiences in Human Resources operations, with a strong track record in luxury, midscale and select service companies. Experience with change management, conflict resolution, benefits administration, employee relations, mediation, talent acquisition and selection process, on-boarding, performance management, personnel training and record keeping. Equally adept at optimizing performance through organizational change, excellent problem solving skills, multi-tasking and communications. Dedicated in meeting or surpassing company expectations and able to focus on HR operations, develop strategies and meet or exceed deadlines. The HR Elite Group has been providing expert outsourced HR consultancy for over 20 years. With HR Advisors in Miami-Dade, Broward, Monroe, and the Palm Beaches, HR Elite operates in a variety of industries and have a client list that ranges from small care agencies to multinational technology firms. 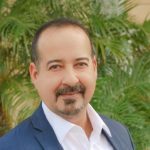 Nino is a staffing professional with over 18 years of consultative sales, service and management experience. 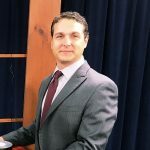 He is dedicated to new business development, client retention and client growth; while he actively focuses on cultivating client relationships, developing a true understanding of needs and then offering strategic customized solutions. A lifetime staffing professional with 16 years of industry experience. 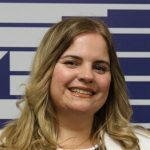 Her background includes managing multiple on-site accounts as well as overseeing multiple branch operations for high volume light industrial, clerical and hospitality industries. 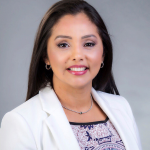 Yesenia Moreno is a multi-disciplined professional with diverse experience in areas of recruitment including retention management functions for large global organizations. She has outstanding communication and well-developed interpersonal skills with the ability to relate well to individuals at all levels as well as from diverse multicultural backgrounds. 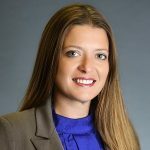 She is a seasoned staff recruiter, successful at sourcing, attracting and hiring individuals and teams to produce optimum bottom-line performance in pursuit of an organization’s goals. She possess an outstanding work ethic and high personal standards of achievement. Yesenia portrays professional image and attitude. As a provider of temporary job services and direct hire search since 1978, Accurate Personnel has grown from a regional Chicagoland firm to a full-service temporary job agency and search firm with nationwide reach. They currently have 24 offices and continue to grow coast to coast, while never losing their commitment to personalized service. Accurate Personnel provides the best possible staffing solutions in the industry by approaching every challenge with honesty and transparency. They embrace the differences of each client and candidate, while creating unique and innovative solutions. At Artfood LLC we understand the importance of your Hotel catering/banquet needs. Providing you with unique pro-active personnel is our main goal. We understand the ever-changing needs and challenges, therefore we don’t just take and fulfill orders, we take ownership in them; thus build long-term relationships with our clients by earning their trust and confidence. ArtFood’s goal is to satisfy the requests and desires of all your guests by always anticipating their needs.